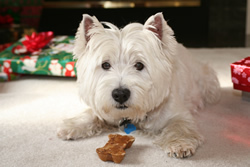 A generous donation was made by Jacqueline Langford in memory of Kobi, companion to Mike McMahan. A generous donation was made by Diane Cully in memory of Molly. A generous donation was made by Diane Nott-Kilfoil in memory of Georgio. A generous donation was made by Justin and Amber Redden in memory of Cornelius “the dog” Hudon. A generous donation was made by Kristen Parson in memory of Ms. Pawley Winnett. A generous donation was made by Beth Sakwa in memory of Pal, Sasha (osteosarcoma) and Brandy (lymphoma). A generous donation was made by Kristin M Flaherty in memory of Lumpy, the beloved & loyal companion to Ann Moehle and Don Thomas who was lost unexpectedly and too soon. He will greatly be missed by his owners but will always be in their hearts. A generous donation was made by Christina Swartz in memory of the sunshine of my life, Bailey Swartz. A generous donation was made by Paula Martin in memory of Lillie Martin. A generous donation was made by David Park in memory of Lilly. A generous donation was made by Steven McGinnis in memory of Buddy, who was taken too suddenly and way too soon and will be greatly missed. He was loved and cherished by Bob and Patti Lewis in Lakewood, WA. A generous donation was made by Tina Tam in memory of Ranger. A generous donation was made by Abigail Johnson in memory of Blanca Tomlinson beloved family member. A generous donation was made by Kevin Luss in memory of my best buddy for the past 10 years, a gorgeous and dignified rhodesian ridgeback named Charley. she died 12/23/06 from cancer…i will miss her and never forget all the great times we had. A generous donation was made by Lisa Patton in memory of AJ- Alan Joseph, out wonderful Welsh Terrier- love you forever! A generous donation was made by Deborah Igal in memory of our “Sweet Baby Girl” – Missy. A generous donation was made by William Smith in memory of Brownie. A generous donation was made by Kathryn Conway in honor of Finnegan. 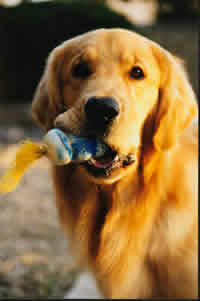 Each remaining day is a precious gift with Finnegan; he still retrieves with joy, on three legs. As a therapy dog he humbly accepts everyone’s kind questions, rewarding all with the vigorous tail wag that only a Labrador can deliver so well. A generous donation was made by Barbara Molinari in memory of Penny ’’Precious’’. A generous donation was made by Stephanie Burrows in memory of L.C. A generous donation was made by Diane Jordan in memory of memory of Kami and Miko…..one each magnet for them. and also for Hiku who has survived 2 surgeries to remove cancerous lumps..
A generous donation was made by Jodie Haring in honor of Rolf Rhinehart. A dog with amazing courage and a gentle spirit. A generous donation was made by Lisa Baily in memory of Storm Goodwin-Dixon, 13 year old Rottweiler who passed away on 01/09/07 from bone cancer. A generous donation was made by Dean & Vicki Lipski & Tessie in memory of our beloved Kimby -Daydream’s Next Generation, CD, CGC. A generous donation was made by Jennifer Sparks in memory of Maggie. A generous donation was made by Dean & Vicki Lipski & Tessie in memory of the one year anniversary of Bailey’s death from cancer. A generous donation was made by Melissa Ricketts in memory of Lisrel Ricketts-Higgins. A generous donation was made by Mary Greer in honor of Max Greer, my 10 year old Shar pei, who was recently diagnosed with lung cancer. A generous donation was made by Betsy Molinari in memory of Bandit Beyer. 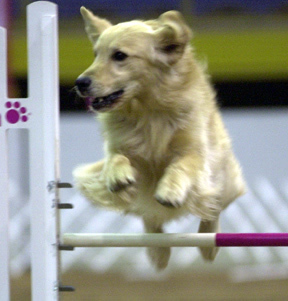 A generous donation was made by Timothy Redman in honor of our golden retriever Samson. He had a mast cell tumor removed last month. A generous donation was made by Rick Passow in memory of Bailey. A generous donation was made by Carol and Joel Robinson in memory of Beijet. Read more and see more pictures of Beijet. A generous donation was made by Hounds Tooth Primitives and Antiques in memory of Sheldon Groller, our Treeing Walker Coonhound who passed away in November 2006 of nasal cancer. Read more about Sheldon. A generous donation was made by Ingrid Boatright in memory of Solange, Veilchen and Ivy. A generous donation was made by Nicole Zielinski in honor of Minnie Zielinski who survived a stage 4 mast cell tumor. A generous donation was made by Peter Conlin in memory of Lady Wilcox, a golden retriever who passed away last Friday, the beloved pet of Peter Wilcox. A generous donation was made by Gregory Eric Lindholm in memory of Nico. A generous donation was made by Wendy Wustner in memory of Bear. A generous donation was made by Deborah Hagan in memory of Benjamin Franklin (lab mixed) and Zelda Mae (basset) both our rescue babies. Also known as the King & Queen. A generous donation was made by Arlene and Eric Blouch in memory of Holly, the beloved pet of Eileen and Howard Laudermilch, who died of brain cancer. A generous donation was made by Dean & Vicki Lipski in memory of Ashby, the beloved pet of Gary and Sara Nice, who died of brain cancer. Read more about Ashby. A generous donation was made by Arlene and Eric Blouch in memory of Ashby, the beloved pet of Gary and Sara Nice, who died of brain cancer. A generous donation was made by Gary and Sara Nice in memory of our beloved Ashby who died of brain cancer. A generous donation was made by Mara Burns in memory of my parents’ dog, Tramp, who passed away on 2/11/2007, from hemoangiosarcoma. They rescued him from a junkyard only a few short years ago, and he blossomed into a beautiful, loving boy. He will be so very missed. 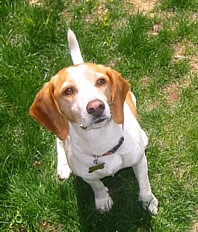 A generous donation was made by Mara Burns in memory of our beagle, Duncan, who passed away from a brain tumor on 4/11/2006. He was only 3 years old. My sweet teddy bear boy, not a day goes by that I don’t miss you. A generous donation was made by Jennifer Minshall in honor of Molly and Bosco Minshall. A generous donation was made by Joan Favicchio in memory of Sandy and Freddy. A generous donation was made by Mike Munro in memory of our beloved German Sheppard Casey. Casey had canine lymphoma and lost her fight after 6 brave months. Casey will always be our first child and we will remember her forever. A generous donation was made by Michelle Lemiesz in memory of Maggie Lemiesz, my beloved companion, who died 1/17/07 from complications related to lymphosarcoma. A generous donation was made by Jennifer Ballard in memory of Forgedale; the One-and-Only!. A generous donation was made by Lisa Pinczewski-Sweet in honor of my loveable black lab, Prince who is currently in remission of lymphoma. he is the love of my life. i pray we have a long time still left with him as he is doing great due to the great treatment from his oncologist..
A generous donation was made by David Goldsberry in memory of Chelsea Elaine Goldsberry-The kindest friend anyone ever met. A generous donation was made by David Goldsberry in memory of Gabriella Ruth Goldsberry – My friend that loved at all times. A generous donation was made by Nicole Rodriguez in honor of Shadow Guins who is currently fighting valiently & Shadow Varela who we lost in 2004. A generous donation was made by Diane Costa in memory of Kora “The Bean” Costa 02-20-2007. A generous donation was made by Terese Siegel in honor of Scooby Siegel…we love you !!!!! A generous donation was made by Christi Leasure in memory of Zoe Johnson. A generous donation was made by Stephanie Guins in honor of Shadow Guins and is memory of Shadow Rodriguez and Sierra Baxter. A generous donation was made by Jacqueline Frazier in memory of Emmitt. A generous donation was made by David Labiak in memory of Buffett. A generous donation was made by Pamela Alcid in memory of Cecil. A generous donation was made by Nancy Talbott in memory of Ohso, and in honor of his battle with hemangiosarcoma. A generous donation was made by Gina Costanzo in honor Emmitt, Jake and feline friend Ernie. A generous donation was made by Debora D Wight in memory Fox. A generous donation was made by Tamara Rieser in memory “Sadie” our tri-color Pembroke Welsh Corgi at the age of 13 on 3/10/07. She had a Histiocytic sarcoma in her right rear leg. The sarcoma was removed and then her leg eventually amputated as the cancer had spread. The cancer further metastacized to her liver and her spleen. She will be cherished always and will forever be barking in our hearts…. A generous donation was made by Elizabeth Patel in memory Jessie Tripp. She was a great friend that will be missed! A generous donation was made by Susan Smith in memory of Bryce & Laney. 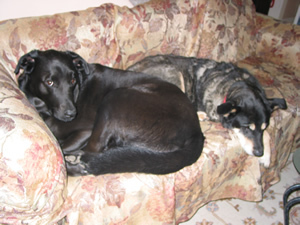 A generous donation was made by Melissa Nielsen in memory of Sierra and Kodi. A generous donation was made by Michael Huseby in memory of Sabastian and Merlin. A generous donation was made by Gretchen O’kon in memory of RAJAH ANGELICA “My sweet pea” 12/12/1997 – 03/21/2007. 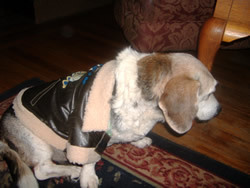 A generous donation was made by Harriette Harris-Digney in memory of Scooter Kramer. A generous donation was made by Jennifer Adamec in honor of my Dog Tosha Who Has Lymphoma. A generous donation was made by Amelie Leclerc in memory of Cole Chaffin, the sweet black dog. A generous donation was made by Kelley Morrison in memory of Brutus Maximus Morrison 7/25/96 – 4/15/06. We love you and miss you so much. Daddy’s Best Buddy and Mommy’s Baby Boy!. A generous donation was made by Lorie Freeman in memory of my sweet boy, Kizmet. A generous donation was made by Pamela Yandell in memory of Cody. A generous donation was made by Charles Church in memory of Hogan 1995-2007. A generous donation was made by Gregory Eric Lindholm in memory of Nico. Read more about Nico. A generous donation was made by Bill and Diane Dargay in memory of Tyler, CH. Kingpoint Gordon Hill Ducati, CD, JH, N, NJ, NP, PDT, RI, MCL, O, OJ, RN, RE, RA, FD, FDX, FDCH, FDCHS, FDCHG, FM, FMX, CCG/TDI. 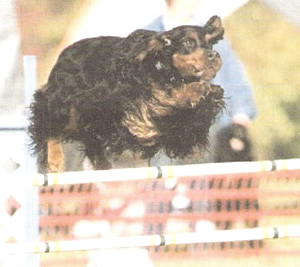 They number One Gordon Setter in the US in Flyball. 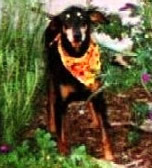 A generous donation was made by Bill and Diane Dargay in memory of Tobey Dargay, Gordon Setter CH. Alilou Spitfire Tobias, CD< RN< JH< FD< FDX< CGC/TDI. Read more about Tobey. A generous donation was made by Gail and James Rathmann in memory of Gibson and Copper. A generous donation was made by Donna Price in memory of Bailey Mims. A generous donation was made by KK Goodwin in memory of Izzy Blatt. A generous donation was made by KK Goodwin in memory of Gertrude Zuckerman. A generous donation was made by Michelle Nguyen in memory of Lou, my sweet maltese. A generous donation was made by Suzanne Landis in memory of my beloved Rottweiler “Otto” who I just lost in October, at the age of 3, to a chondrosarcoma. A generous donation was made by Michelle Cousin in memory of Kayla, a Rottweiler who lost her courageous battle against chondrosarcoma. A generous donation was made by Teresa Vine in memory of our nephew, Daegan Vine. A generous donation was made by Joel Brown in memory of Sam McCarthy. A generous donation was made by Jill Klein in honor of Maisy and Shadow who are currently battling two types of cancer. My two best friends! A generous donation was made by Shar Henry in memory of Splash MACH Lookout’s Slippery When Wet UDX TD JH WCX 2/10/98 – 4/30/07. A generous donation was made by Leah Chumbley in memory of Snickers and Skittles. 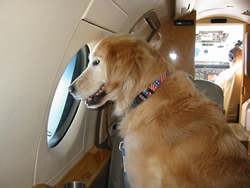 A generous donation was made by Meghan James in honor of my golden retriever “Simon” 9 years old was diagnosed with Hermangiosarcoma March 21, 2007 and had surgery the next day. He is being a trooper as all Goldens are. A generous donation was made by Mona Stonier in memory of Rustle. A generous donation was made by Susan Liby in memory of Casablanca’a Commander Zip. A generous donation was made by Linh Banh in memory of all Jindo dogs who have left us for doggy heaven due to cancer and any other terminal disease/illness. A generous donation was made by Mildred Sowell in memory of Amy Sowell. A generous donation was made by Eric Jones in memory of Gidget beloved forever. 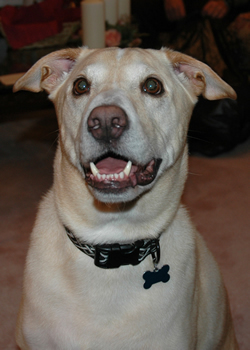 A generous donation was made by Michele Pfeifer in memory of Dukie Lauter. A generous donation was made by Michele Pfeifer in memory of Red Laborde. A generous donation was made by Dominica Glonek in memory of Thor. All who knew him, loved him. He will be missed. Love, Dominica, Dave and Ilsa. A generous donation was made by Andrea Amicangelo in honor of Breeze, an Irish Wolfhound, who was diagnosed with osteosarcoma in January 2007. 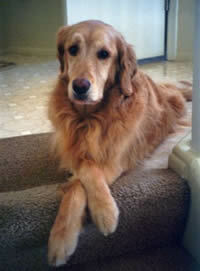 A generous donation was made by Katie Doll in memory of my friends Golden Retriever ‘Kenya’. A generous donation was made by Deanna Terrell in memory of Breeze’. A generous donation was made by Susan Noll in memory of Molly Colby. You are in our hearts. Sue, Herb and Parker. A generous donation was made by Laurie Jenks in memory of Scully. A generous donation was made by Steven Zacharius in memory of Betty Horn. A generous donation was made by Sherry Drummond-Moss in memory of Ginger our beloved Scottie lost her battle to TCC (bladder cancer) February of this year. She was a real trooper throughout and an inspiration to us all. 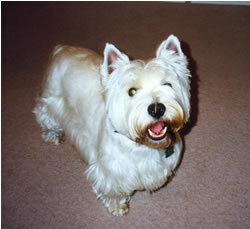 A generous donation was made by Scott Ellner in memory of Jeffy, my friend Janet’s dog, who died recently of lymphoma. A generous donation was made by Vanda Hale in honor of Chloe and Buddy Hale. A generous donation was made by David Garsh and Bridget O’Connor in memory of Rudder. A generous donation was made by Debra Gross in memory of My beloved mother, Irene B. Gross. A generous donation was made by Joni Lambert in memory of Jasmine Lambert, our beautiful girl who we lost a year ago today to lymphoma.